We have the following leftover items available for sale from our recent fundraiser. If you wish to purchase any items, please e-mail Dr. Sargent at brad.sargent@sccboe.org BY 11:00 am THURSDAY with "fundraiser leftovers" in the subject line. Indicate the quantity and description of the item you would like. Dr. Sargent will reply with confirmation of your order. Your student may come to the band room by the end of the day Thursday with payment to pick up the item. 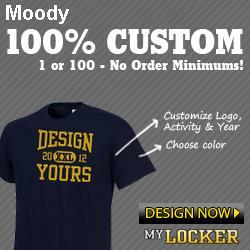 Checks should be made payable to the Moody Band Boosters. Unpaid or unclaimed orders will be returned to the freezer on Friday for storage.